Teresa’s Star Wars journey began when as a child her mom introduced her to the world of Star Wars while she was sick with chicken pox. Teresa is from the new era of Star Wars fans as she was not around when the Original Trilogy was released in theaters. Instead her trilogy in theaters was the Prequel Trilogy. Teresa began truly indulging herself in the Star Wars galaxy by reading the books and comics. Through the literary world she found herself liking the realm of the Expanded Universe and wanting to learn more. She began toy collecting when her nephew was trying to play with her Force Unleashed figures. She knew she needed to find something else Star Wars for him to play with and she found the Galactic Heroes. From there the collecting of Star Wars began to build and she now has collections of the Force FX lightsabers, Williams Sonoma Star Wars line, Force Unleashed, Marbles, Playing Cards, LEGO, Hallmark Ornaments and anything that has to do with Darth Maul, Ewoks or R2-D2. Teresa is a freelance writer and owner of Fangirl Next Door a fandom website that focuses on the world of girls in fandom. The site primarily focuses on Star Wars but looks at all things geeky. She is also the host of the Fangirl Next Door Podcast. In addition she also is a staff member and writer for The Star Wars Report. She is also the primary writer of a blog for a prominent Orlando, FL wedding photographer. She enjoys writing about the things she loves and sharing it with the world. Teresa enjoys reading, writing, collecting and going to Walt Disney World. Her world of choice is one of fantasy and sci-fi and she tries to find every avenue she can to engulf herself in that magical place. She recently got married and resides with her husband in the great lone star state of Texas. Teresa has reported from Star Wars Fandays, Wizard World Austin, Star Wars Weekends and Star Wars Celebration. 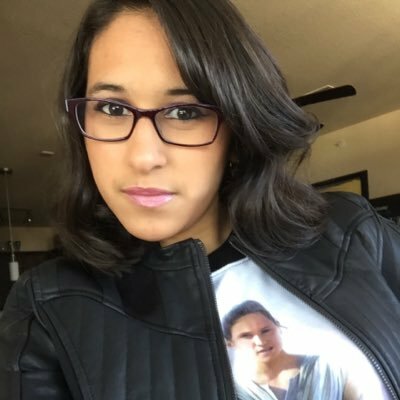 Her fandom has expanded to the world of podcasting where she is the co-host of a number of shows including Disney Vault Talk, Fangirls Going Rogue, Star Wars Bookworks (with fellow Team Jedi News member Aaron Goins) and Galactic Fasion alongside Johnamarie Macias on the Jedi News Network.